We want to help you find affordable health insurance rates online so, we’ve included a free search tool below; just enter your zip code to get started! Because One Beacon is a specialty insurance company, they do not offer outright health insurance products. If you’re looking for an HMO plan or major medical, your best bet is to look elsewhere. With that understanding, we can then say that disability insurance can be included in some of their specialty products. It would not be a standalone policy in most cases, but part of existing policy or a rider added thereto. The nice thing about specialty insurance is that it is more easily customized depending on policyholders needs. Operating more or less as a holding company, One Beacon is domiciled in Bermuda because of its welcoming environment for insurance operations. They do maintain a U.S. headquarters based in Minnesota. Between these two offices, contacting the company or one of its subsidiaries should be easy to accomplish. Their website provides address and telephone information for both the Bermuda and U.S. headquarters. 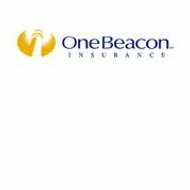 One Beacon is relatively new to the insurance game, having been formed through a merger of two other companies in 1991. Those two companies were a marine insurance operation and a tuition reimbursement provider whose purpose was to protect parents and lending institutions from financial loss when college students dropped out of school. The company realized from these two specialty products that there was a great need for more specialized insurance throughout the country. With a mission to provide for those specialty insurance needs, the company began to expand through acquisitions while also adding to their product list. They are now one of the foremost leaders in specialty insurance products in the United States. One Beacon’s specialty policies set the standard for other similar underwriters to follow. The nature of the specialty insurance game is such that it is very difficult to leave the sales and maintenance of policies to independent agents. Independent agents provide a vital function with traditional insurance products, but they lack the expertise and knowledge needed for specialty insurance. Therefore, you won’t find local, independent agents representing One Beacon Insurance. Any interactions you have at the consumer level will be through corporate employees fully trained to work in their various areas of specialty. One Beacon is proud to employ the industry’s best people with the knowledge and expertise to properly service their customers. The company website includes a careers section, which gives prospective candidates an overview of what the company is looking for and what they offer. One look at this section and you’ll understand very quickly that One Beacon is very serious about putting forth a professional attitude across all of their divisions. They require that same attitude of all employees. The company offers a searchable job database from this section, where interested candidates can see what’s currently on the table. From this section, you can search for specific types of jobs, see all available jobs listed together, and create an individual account to help you search and submit resumes more efficiently. It is not clear whether all new applications are handled by the corporate headquarters or they are forwarded to individual departments for their review. Although One Beacon doesn’t offer health insurance, that shouldn’t stop you from searching online for affordable health insurance rates – just enter your zip code below to get started.